West Bengal Board of Secondary Education (WBBSE) has declared the West Bengal Madhyamik(Class 10th) examination results today on the official websites of the board which is wbresults.nic.in, wb.allresultsnic.in and examresults.net. West Bengal Board of Secondary Education (WBBSE) has declared the West Bengal Madhyamik(Class 10th) examination results today on the official websites of the board which are wbresults.nic.in, wb.allresultsnic.in and examresults.net. 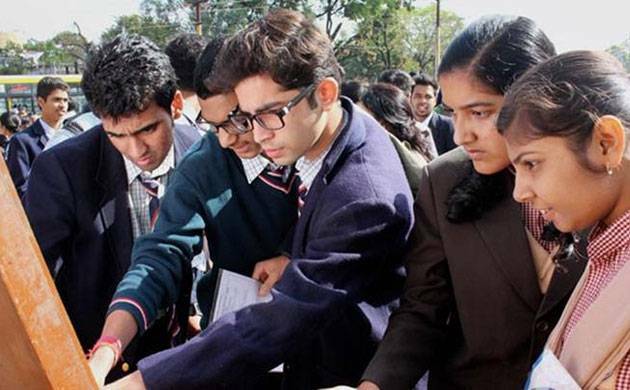 Earlier, speculations were high that this year WBBSE will declare the Class 10th results in the mid of May but giving a natural death to all those rumours previously an official assured the declaration of the result by the end of May. Earlier, WBBSE has conducted the class 10th Madhyamik examination from February 22 to March 3 all over the state. Last year, Souvik Barmam of Mathabhanga High School, Cooch Behar was the topper of the examination securing 683 marks out of 700. -Go to official website – wbresults.nic.in. -Enter your roll number and other details. -Take a print out of your result for future convenience. Besides online checking students can also get their result through SMS. To avail results through SMS candidates need to type WB 10 followed by his/her roll number and send it to 54242, 56263, 58888. In 2016, around 11.4 lakh students had appeared for the WBBSE 10th examination. The West Bengal Board of Secondary Education (WBBSE) is a statutory body that conducts Class 10 examination in the state. All government and private schools in the state come under the purview of the board.